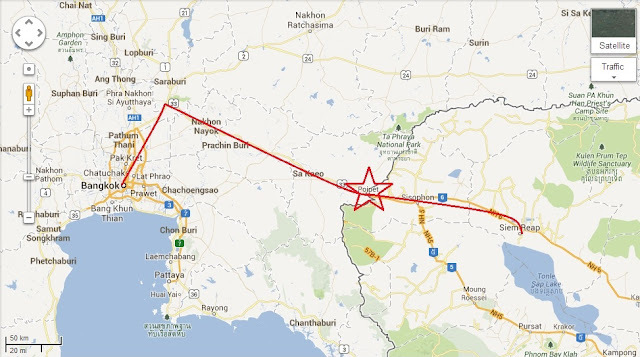 The route going to Siem Reap. Travel time is 5 hours. 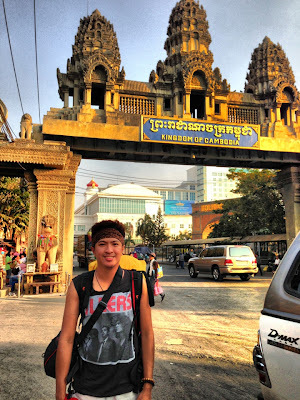 -From Khao San Road, Bangkok I took a cab going to Mo chit - Northern Bus Terminal. The fee should only be below 200 Baht. -I rode a bus going to Aranyaprathet (town near the border). I chose Air Arian Pattana for only 223 Baht, air-conditioned, seats are comfortable, has it's own toilet and you also get a free snack. -I didn't need to ride a tuk-tuk going to Poipet (Cambodia town near the border) because the buses can now take you directly to the Cambodian Immigration office there. I was Greeted by the friendly immigration officers, signed a few forms without having to take out my passport and paying any fees. The border is open from 7AM to 7PM. 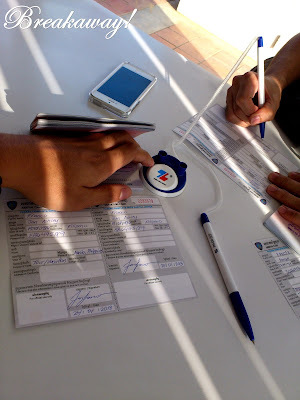 -After signing the forms, I was escorted to the Thai Immigration office to have my passport stamped then to the Cambodian Immigration office to get an entry permit. Simply show your passport, tell them where you're going and where you're gonna stay and that's it. No fees to pay, No other questions asked. 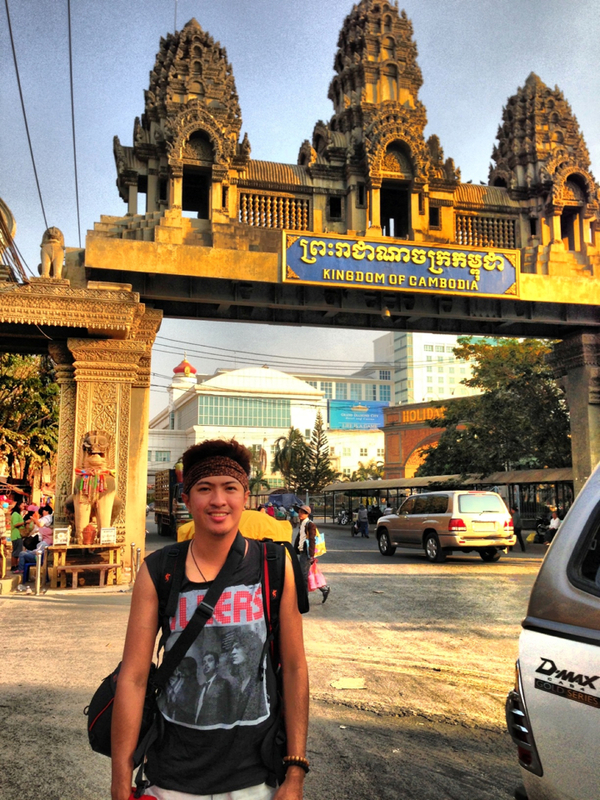 -I took a "shared" taxi going to Siem Reap ($12 for a seat or $48 for the whole car). The taxis can only take you to the Airport Road near the town so you will need to ride a Tuk-tuk going to your prepared hotel. The drivers can be a little too aggressive in offering hotels where you can stay at but be firm and tell them where you want to go. It won't hurt if you listen to your tuk-tuk driver, I mean you could always check out the hotel he's offering you and say no if you don't like it there. Be wise when crossing the borders of Thailand and Cambodia, it is a notoriously scammy route. 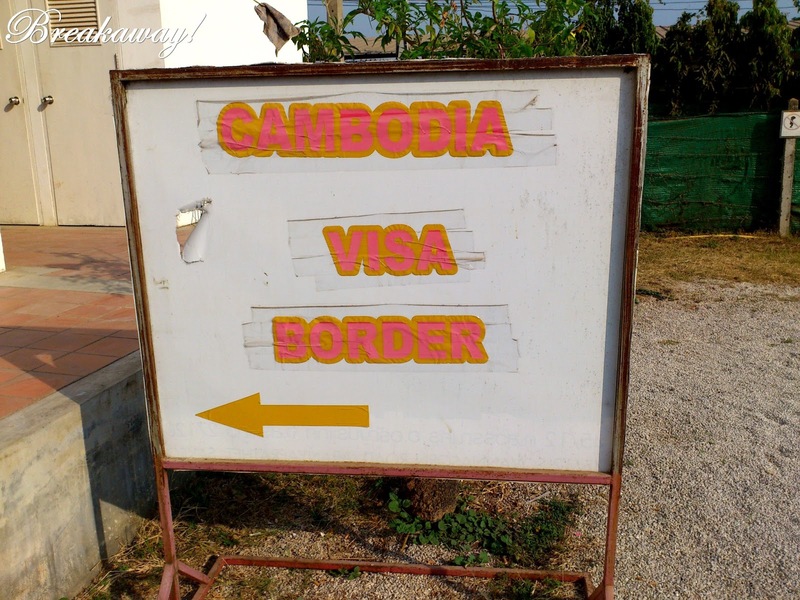 -Immigration assistants will force you to change your money to Cambodian Riels saying there are no money changers in Siem Reap, the rates are better there and blah blah, just ignore them! when I arrived in Siem Reap there were tons of money changers everywhere and most of the establishments there accept Thai Bahts and Dollars. -Any demand made for payment to receive a form, a stamp, or anything else for that matter is a scam! -There are heaps of travel agencies in Bangkok, mostly in Khao San Road that offer vans or buses that will take you directly to Siem Reap. Do yourself a favor and NEVER sign up for this service. Although it seems cheap it will take you forever to get to Siem Reap and there are numerous scam stops involved in there. 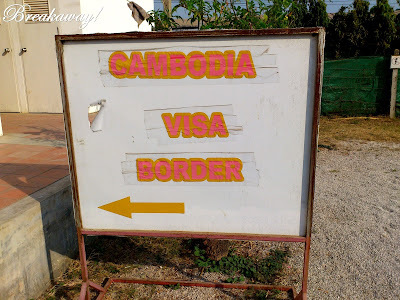 -Always remember, being a Filipino traveller you don't need a visa to enter Cambodia. 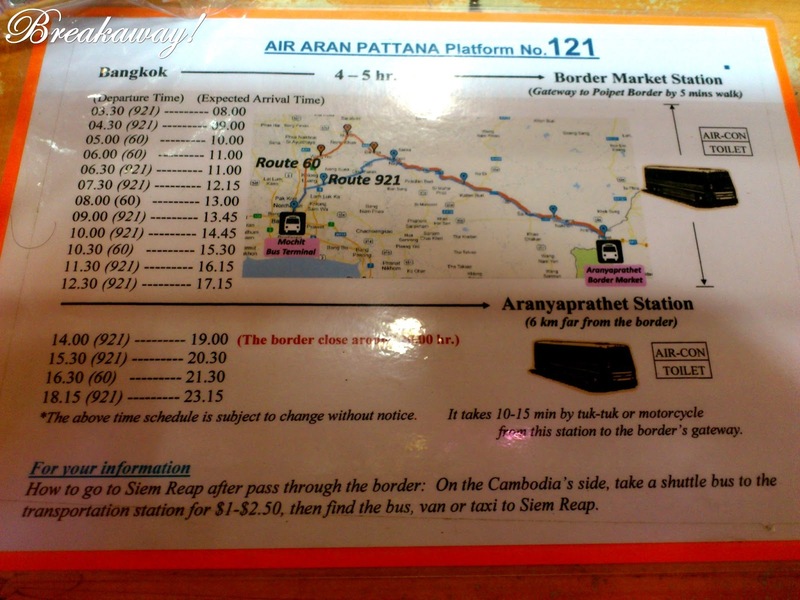 -Make sure the bus you picked going to Aranyaprathet can take you directly to the immigration office. -The road from Mo Chit to Siem Reap is completely paved and smooth driving all the way. -All tourist visas are single entry and for 30 days only. -if you think the shared taxi is a bit pricey then you can try the public casino buses lined up in the border. It will only cost you around $8 but the buses are only available until 12pm. -Flash your best smile! Try to make friends with other travellers, stick with them. It keeps you away from danger and it can save you money especially if you could share the taxi with them. 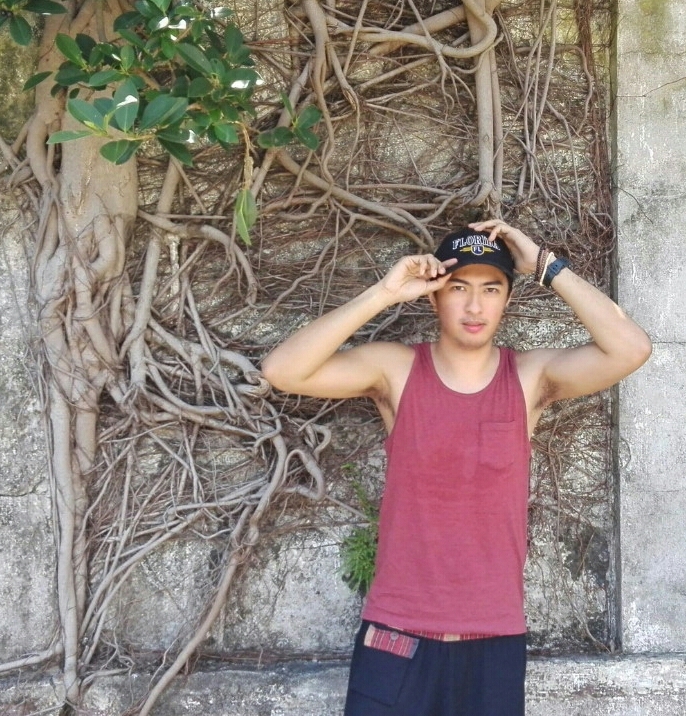 It's a good thing that we Filipinos can blend in with the locals and not grab a lot of attention from the touts there. All in all my journey was a tiring but fun experience! after I checked in at my hotel I hurriedly checked out the Pub Streets in the town, got a drink and a relaxing foot massage. It was a nice feeling to have made it alive in Cambodia :) I took a rest early because I knew that the following day will be the day when I fulfill one of my childhood dreams and that is to see the Angkor Wat with my own eyes. I hope this post is helpful, if you have more questions then feel free to leave a comment below. You can check out more pictures of my Southeast Asian Trip here: iPhoneography Asia or read my post about Siem Reap here.